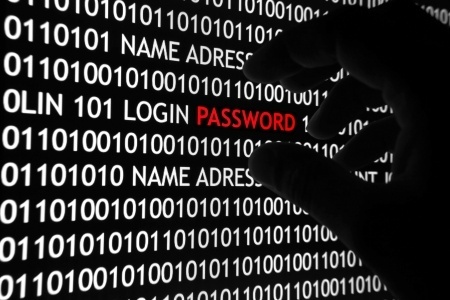 When is a password more than just a password? When I teach new Alexander Technique students, I almost always give them “homework” based on experiments in thinking and moving that I’ve talked them through in their lessons. These experiments typically involve using Alexander Technique directions (more on these below). I emphasize that this homework need only take a few minutes a day and can be done while they are going about their usual activities. And that this can make a huge difference in their progress. My students almost always know how to show up and they want to show up, but…well, they just forget. It’s a classic problem faced by Alexander Technique teachers and students. My students have come up with some ingenious solutions like sticking post-it notes around their home and work place, or setting reminder apps on their computer or smartphone. These are effective sometimes, not not always. I recently listed to an episode of Spark, the CBC podcast about Tech, Trends, and New Ideas, that featured a simple and elegant – brilliant, really – solution to the problem. It was developed by Mauricio Estrella and is based on, of all things, your computer’s password! Here it is: Make your password a short affirmation about what you want. Of course this could just as easily be used for Alexander Technique directions. The Spark podcast suggests changing the password every few weeks, which makes a lot of sense to me. I’ve had some of my students do this for the past couple of weeks and it’s proven to be extremely effective – not just for improving their posture and coordination while they’re using the computer, but for the rest of their life as well. As Mauricio points out, you get to actually write out your affirmation (or, in this case, direction) as part of allowing you to access your computer or smartphone, so there’s an extra positive reward. Also, you’re both thinking and writing out the direction which I believe gives it extra power. If you decide to experiment with this idea – whether you’re an Alexander Technique student or teacher, or any reader interested in exploring this idea – please share you experiences in a comment below. One other reminder: If you change your computer password, be absolutely sure you know what the new on is if you want to make sure you avoid a word of trouble!